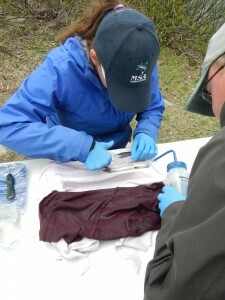 NW: 60 wild smolts collected, tagged, and released May 18th - 20th. 30 smolts collected in October 2015, held at the hatchery, tagged and released May 18th - 20th. 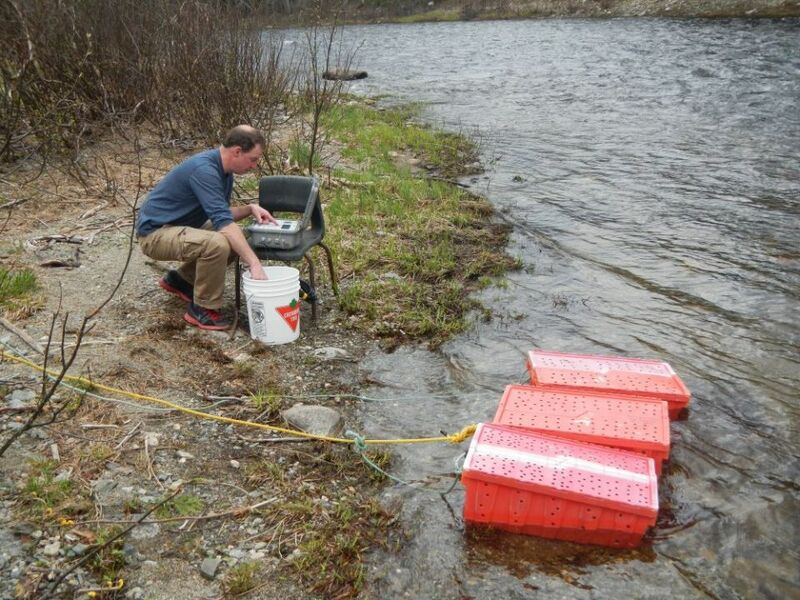 30 smolts collected in October 2015, tagged at the hatchery in early March, released May 18th - 20th. 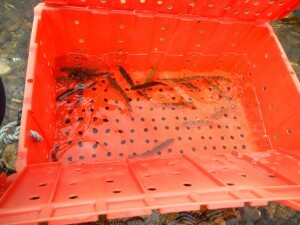 SW: 60 wild smolts collected, tagged, and released May 17th - 18th. 30 smolts collected in October 2015, held at the hatchery, tagged and released May 17th. 30 smolts collected in October 2015, tagged at the hatchery in early March, released May 17th. Each fish received a unique tag number, and they were divided into daytime and nighttime release groups (at Miner’s Bridge on the NW and Rocky Brook Camp on the SW), so we can compare surgery techniques and survival of fish tagged in March vs. fish tagged in May and day vs. night release. Our exchange student from Belgium, Thibaut, will be working hard on this project with us. There is lots of great data to be collected for 2016! A big THANK YOU goes out to all members who are contributing to this great project! New in 2016 - Sponsor a Smolt! 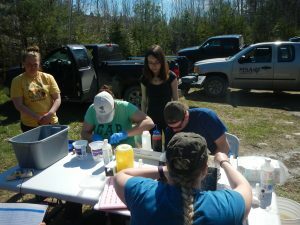 By sponsoring a smolt you will be assigned a unique smolt tag and given updates on the fish's movements/survival through the Miramichi River and into Miramichi Bay. This information is critical as the smolt numbers have been in decline on the Miramichi for the last decade. The more fish we can track the better our understanding will be of what is happening here in our river. 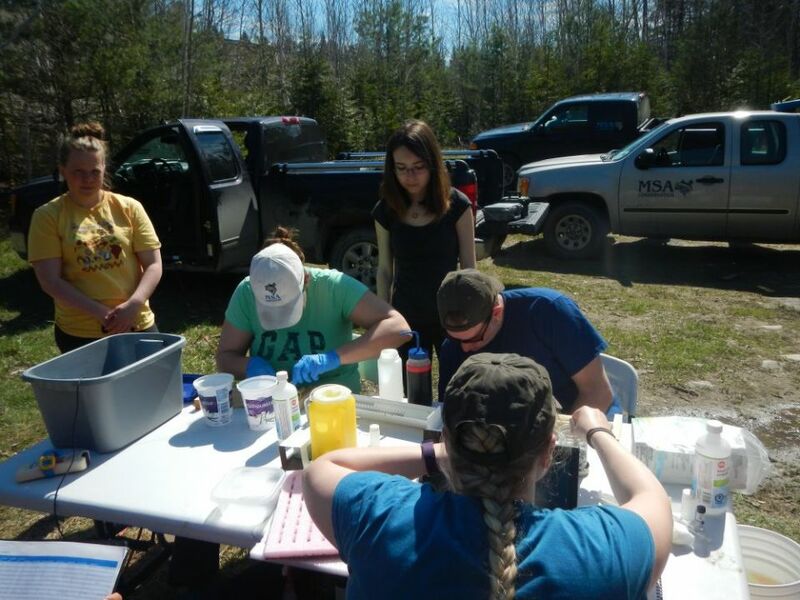 If you are interested in sponsoring a smolt (an acoustic tag for $500) please contact MSA biologist Kelsey McGee at (506) 622-4000 / email or Nola at (506) 622-4000 / email. You can also donate online to this program. Starting in 2001, the ASF began tagging smolts on the Southwest Miramichi River, with Vemco acoustic transmitters, and tracking their movements out of the river, estuary, and into the Gulf of Saint Lawrence. Using the acoustic data, the survival percentage of smolts exiting the river could also be determined, and any areas of high mortality potentially located. The earlier studies found approximately 70% of smolts were surviving to the estuary, however over the last 10 years the survival rates have been declining on the Miramichi. 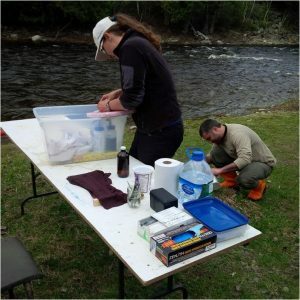 In 2014 the MSA joined the ASF in this project and began tagging smolts on the Northwest River, as a compliment to the SW smolts ASF continued to tag, to determine survival rates because of the rapid decline in adult returns to the Northwest branch. The survival rates for smolts leaving the Miramichi River in 2014 and 2015 were 25% and 38%, respectively. The reports for the last three years are available below. The MSA would like to thank International Paper and DFO for their support in this project.